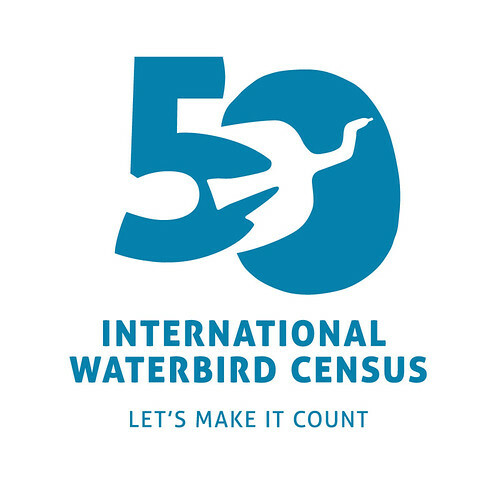 The Asian Waterbird Census (AWC) started back in 1987 and forms part of the global International Waterbird Census that marks its 50th count in 2016. Over the last half century, the IWC has evolved into the largest coordinated biodiversity monitoring programme on Earth expanding from a small number of Western Palearctic countries to cover over 100 countries worldwide. All counters and national coordinators can be really proud of what the IWC has helped to achieve. Over five million square kilometres of wetlands have been identified as being internationally important and 1 million square kilometres are designated as Ramsar Sites worldwide. The IWC data has also helped detect population declines in time and triggered adequate management actions both at site and at flyway level. Thus, the IWC is an essential element of the toolbox of waterbird and wetland conservation. At this anniversary, we salute our predecessors, our national coordinators and observers whose vision, commitment and hard work has brought to life, developed and maintained over half a century this unique programme. We also want to work with you to make the most of this opportunity and to bring the programme to new levels. The recommended dates for the AWC 2016 are Saturday 9 to Sunday 24, January 2016, covering 2 weeks and three weekends, when we should encourage you to count waterbirds. These dates are for guidance only and counts from any date in January are very welcome. Support your national and local networks: join the counts, help train new counters or provide funding or logistical support to ensure the counts can go ahead. Make connections throughout the flyways: cover transboundary sites with teams from neighbouring countries and produce regional analyses, build bilateral relationships with countries in need of technical and financial support along the flyways. Protect critical sites: promote the designation of internationally important sites as Ramsar Sites and nationally protected areas and join efforts to conserve them. Raise awareness: engage with the private sector, students, hunters, and the wider public, show the importance of waterbird monitoring for the sustainable management of your sites. Let’s celebrate together! We would like to hear from you how you celebrated the 50th anniversary of the IWC. Please send us short notes, photos, videos about your 50th anniversary activities. You and your networks can also share your messages through social media – please use the hashtags #waterbirdscount and #IWC50 to help us collate and share your stories! As a priority, we request you to cover the most important waterbird sites (including wetland sanctuaries, Ramsar sites, Flyway Network Sites and Important Bird and Biodiversity Areas, IBAs), especially those that have been covered in previous years. The standard Count and Site forms for the AWC 2016 are downloadable on the AWC website. Contact your national/ regional/ state coordinator to confirm if there are any standard forms being used in your area; coordinator details here. We introduce an online data submission in India through the eBird India platform developed in collaboration with Bird Count India and Bombay Natural History Society (see below). A reference list of internationally important AWC sites and wetland IBAs that we encourage you to cover during the counts is accessible here. An updated AWC Count Excel Form for 2016 for offline data entry is now downloadable here. As always, kindly submit the completed form to your state coordinator by end February 2016 to be included in the national and regional overviews. Additionally, we introduce an online data submission through the eBird India platform. While the counts can be entered on the eBird platform, important information on the status, uses and threats to the wetland you have covered during the AWC 2016 count cannot be submitted and we have designed a new form to collect this data. This will provide a strong basis for conservation of wetlands and waterbirds – which is a priority for the IWC. Important to note that only submissions through eBird along with AWC India-eBird Site Information shall be accepted and included in the national and regional overviews, so kindly submit both by end of January 2016. Guidance for filling and submission of both forms is accessible here. The AWC 2016 has already been announced on several websites, including in China, Malaysia, and Thailand. If you have AWC announcements on your websites, kindly let us know. Across the region, initiatives linked to the East Asian-Australasian Flyway Partnership and the Convention on Migratory Species are encouraging collection of information on several globally threatened and near threatened species as well as species at risk. Threatened species include the Black-faced Spoonbill Platalea minor, Scaly-sided Merganser Mergus squamatus, Baer’s Pochard Aythya baeri, Spoon-billed Sandpiper Calidris pygmaea, and Saunder’s Gull Saundersilarus saundersi as well as the recently listed Far Eastern Curlew Numenius madagascariensis and Great Knot Calidris tenuirostris. In addition, the Garganey Spatula querquedula that appears to be declining in parts of its range and more information is needed. We encourage special attention be paid to the identification of these species in your counts.